Zakia Wardak’s family has been fractured and diminished by long decades of war in Afghanistan. Soviet forces killed her father four decades ago, Americans seized and tortured her husband two decades later and her in the capital this past summer. Yet, somehow, she has not abandoned hope. Relatives abroad begged her to join them after the latest killing. Instead, convinced that can still change, that the peaceful country of her childhood memories can be reclaimed, she has taken a tentative step into the dangerous, notoriously corrupt arena of Afghan politics, running for a seat in parliament. The odds are stacked against her. It is still not clear if the 30 October vote – widely seen as a trial run for an even more high-stakes presidential poll next spring – will go ahead. The election is already more than three years overdue and mired in controversy. Some opposition leaders want further delays so that biometric checks on voter identity can be brought in. plans for a vote in one key province, eastern Ghazni, without bothering to inform voters or provide an explanation. If the poll does take place elsewhere, voters and candidates alike would be targets for militant attacks, and the results would almost certainly be skewed by serious corruption. Yet she is not alone in her conviction that democracy, though embattled, can still work in Afghanistan and a fight against powerful vested interests can be won. She is part of a wave of candidates, mostly young professionals and entrepreneurs, running in defiance of security concerns and long, bitter experience of parliament as graft-ridden and ineffective. Many came of age after the were toppled in 2001, including the 33-year-old entrepreneur Hamed Warasta. “It’s time in Afghanistan for the younger generation to do something,” he said, in the headquarters of the conglomerate he built up after a childhood as an impoverished refugee, which supplies everything from printing paper to military uniforms. The election comes at a difficult time. The country has been convulsed by waves of extreme violence, with deaths of civilians setting and so many soldiers killed that security forces casualties are . The Taliban since they were ousted from power, and threaten swaths of the country beyond their main bases. In August militants , only 44 miles from Kabul, as the central government seemed paralysed by indecision and incompetence. Meanwhile, Islamic State has spread its murderous sectarian violence into a country that had been spared at least that one poison amid its other miseries. Although there is more focus on peace talks than there has been for many years – from both Afghans and their US backers, and the Taliban – efforts have slowed as elections draw closer. The Taliban have less incentive to deal with an administration that may be replaced in months and negotiations are a gamble for officials facing an election. That threat of violence makes campaigning hard. Given that and , rallies are a huge risk both to candidates and those attending. Venues and security are also expensive in a city where 800 candidates are vying for fewer than 40 seats. So Wardak, who describes her campaign as “grassroots activism”, aims to meet influential community figures in small groups and has organised volunteers to reach out to their peers. Looming over all the confusion and fears for the parliamentary vote is next year’s presidential election. President Ashraf Ghani took power cobbled together after a 2014 poll marred by widespread allegations of fraud. No one expects a clean fight this spring, with control of the country at stake. Afghanistan is already in the world, according to Transparency International, and power brokers hoping to gain or hang on to lucrative positions will throw huge sums at the campaigns. A new voter registration system suggests spending has already begun, with the numbers signing up to vote “too good to be true”, according to the Afghanistan Analysts Network thinktank, which picked through statistics from the new electoral roll. Among the suspicious details were an unprecedented enthusiasm for voting in conservative areas where turnout has traditionally been low and many registration centres could not open because of violence. Still, western countries funding the elections insist both the parliamentary and presidential polls will happen. Without elections that donors can claim are credible, the flow of foreign military support and aid funds that sustain the Afghan government may falter. 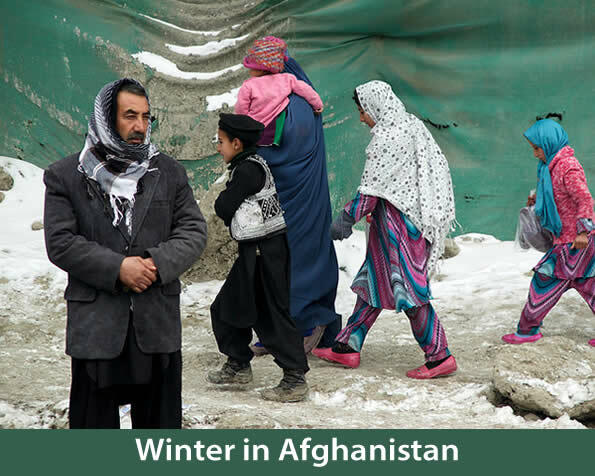 It would be easy to describe the coming year as critical for Afghanistan. It is an adjective overused for many years by foreigners who dropped in on brief military and diplomatic tours as troop numbers swelled then were cut back down. In reality, the country has long lived on the brink of catastrophe. “I hate this phrase ‘critical period’. Since my first memories, things have always been very sensitive [in Afghanistan],” said a former Afghan security official. Conflict has plagued the country since 1979 and the violence is exacerbated by poverty, illiteracy, industrial-scale opium production and widespread addiction. The civil war has gone through so many iterations that there are few enemies that have not been allies in the past, or allies that were not once enemies. The US once embraced the mujahideen as freedom fighters when they battled the Soviets; now their Taliban heirs are against American forces. Meanwhile, Russia of arming the insurgency, though it denies funding militants. While those cycles of violence have often bred despair, history may also serve as a spur towards peace. The US is weary of a war that is now its longest ever, and its western allies now also accept that – despite overwhelming advantages of money and technology – they must talk to the Taliban. “The main issue is that no one is going to win this militarily,” said one senior western diplomat. Seventeen years after the first US soldiers invaded Afghanistan, this might seem like stating the obvious, but it was barely five years ago that Barack Obama claimed America’s , and David Cameron declared . As the Afghan government grapples with shrinking territory and America’s growing impatience, senior officials have also made greater overtures to insurgents, declaring a that prompted the Taliban to respond in kind over Eid. The first official break in fighting since 2001 was hugely popular. For three days Taliban foot soldiers flooded into cities for ice-cream and selfies and urbanites with government links returned to homes in insurgent-controlled areas that had been off limits for years. It showed that the Taliban could control its fighters and that ordinary people on both sides were desperate for the fighting to stop. Now they just have to hope they can get through the elections safe, and with a leadership – whether new or renewed – that can build on the promise of those brief, heady days.